Like most women will say after giving birth, my labor and delivery didn’t go as planned. My pregnancy experience was A+. Flying colors, check all the right boxes, easy-peasy. Sure, I had some queasiness and was tired, but I never got sick, my blood pressure was always normal, I was able to stay active, I ate healthy foods, and baby’s heartbeat was strong and he was in a good position. For a pregnant woman, I would say I was the picture of health. So of course I imagined that labor and delivery would follow suit. In my mind, I would arrive at Brookhaven after having labored, fairly easily, for a while at home. 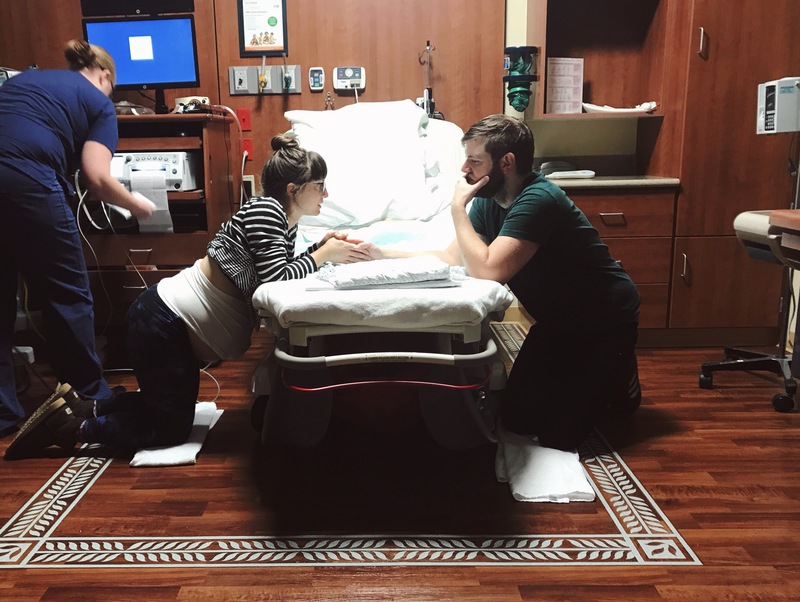 I would sit on the ball, try the hammock or maybe the birth stool, and finally slip into the tub once I neared transition to deliver my sweet boy in the water. All said and done, it would only take 12 hours AT MOST. Contractions started on a Thursday evening (Dec 13) about 10-15 minutes apart. They were uncomfortable, but I could walk and talk through them. My husband and I spent the evening eating pizza and watching a Christmas movie, before enjoying some intimacy and going to bed. It seemed my contractions were getting closer together (probably thanks to the intimacy) and I started timing them. Throughout the night they jumped anywhere from 5 minutes apart to 30 minutes apart. As you can imagine, I didn’t get much sleep that night. Friday morning came and my contractions still weren’t consistent, ranging anywhere from 5-30 min apart. All morning I attempted to jump start them– went on a walk, tried the Miles Circuit, and put on my breast pump. 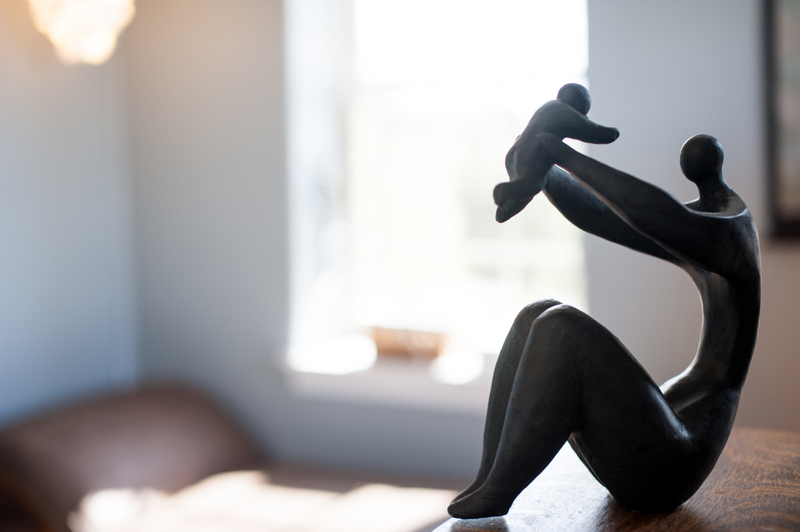 The contractions were increasing in strength, becoming increasingly uncomfortable, but continued to be inconsistent. I attempted to eat a few things and drank some chicken broth. Around noon, my water broke. And finally, around 3pm, we decided to make our way to Brookhaven. The rest of the day followed suit- stronger contractions, but inconsistent timing. 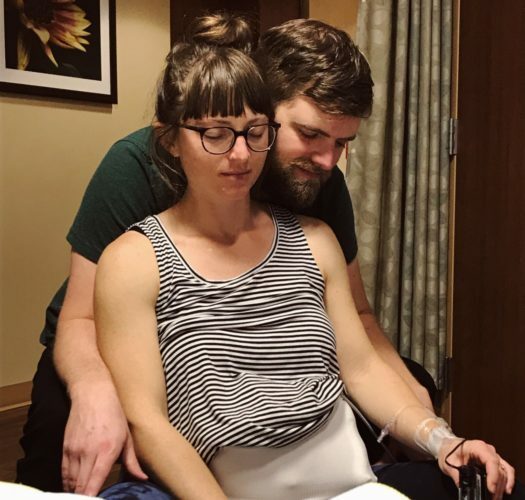 I tried walking stairs, the breast pump, etc, but I simply wasn’t progressing in labor. Night came and everyone was getting tired. We all decided it would be best for me to try to rest throughout the night and try jump starting my labor again in the morning, once I regained some energy. However, rest was nearly impossible for me. Contractions were the most uncomfortable when I was lying down, so I paced all night. It was also nearly impossible for me to keep anything down. I had no appetite and threw up twice. I only managed to drink water and coconut water and take a few sips of a smoothie and some soup. By Saturday morning, I felt pretty exhausted to say the least. Misty and Cassandra explained that, because I was Group B Strep positive and it had been 18 hours since my water broke, it was time to consider going to the hospital. Besides that, they thought I would benefit from an IV for sustenance and pain killers for rest. I agreed, by that point, I was ready for all that the hospital could offer me. Misty called for my transfer (much to her delight, it was a midwife on call, Melody) and we were out the door around 7am. Once I arrived at the hospital I was given an IV and Fentanyl, an intravenous pain medication, to help my body relax and rest. For 3 hours I rested through contractions. 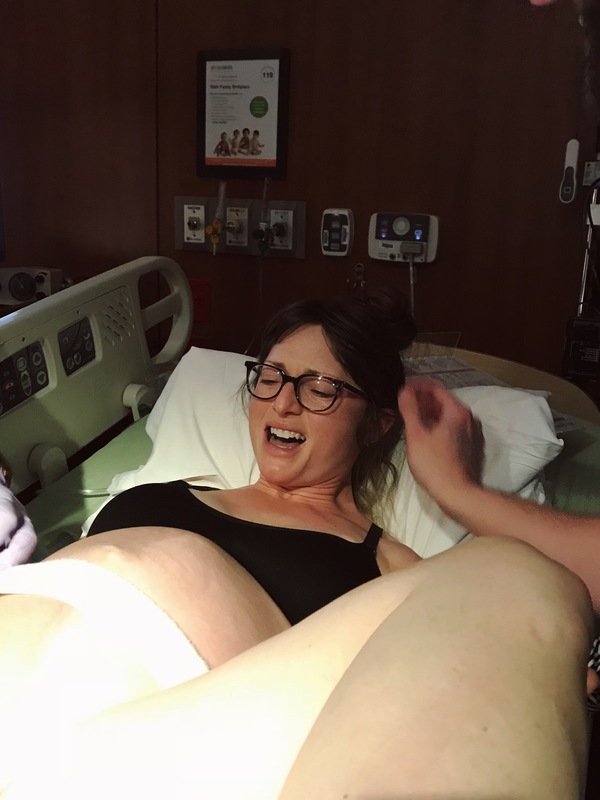 At this point, I hadn’t progressed/dilated much more, so the midwife suggested I get an epidural to help my body relax even more. I consented and got the epidural. 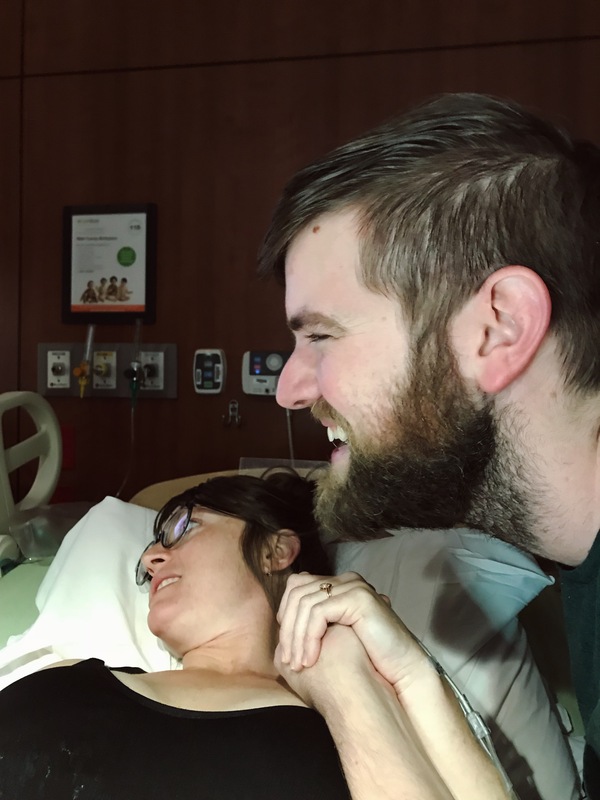 Not long after, I was fully dilated, but Melody had me rest through contractions for an hour before she decided it was time for me to start pushing. Even though I was able to get some rest here and there and had fluids through IV, I quickly realized how truly exhausted I was once I started pushing. I think it took about an hour to push, and during each contraction I felt more ‘out of body’. I could hear people talking and hear myself responding, but I didn’t feel like I was actually present. It felt like I was in a dream. All I could do was pray during each rest period for strength to push and that I wouldn’t pass out. At 8:27pm, Anders finally came out and they laid him on my chest for a quick minute before whisking him over to the warmer and sucking fluids out of his airways. Melody got to work getting my placenta out (she was afraid I might hemorrhage) and stitched up a few internal tears. I finally got to hold Anders about 10 min later, once they had him clear- apparently he had a bowel movement in the womb and swallowed some meconium, along with amniotic fluid, on his way out. 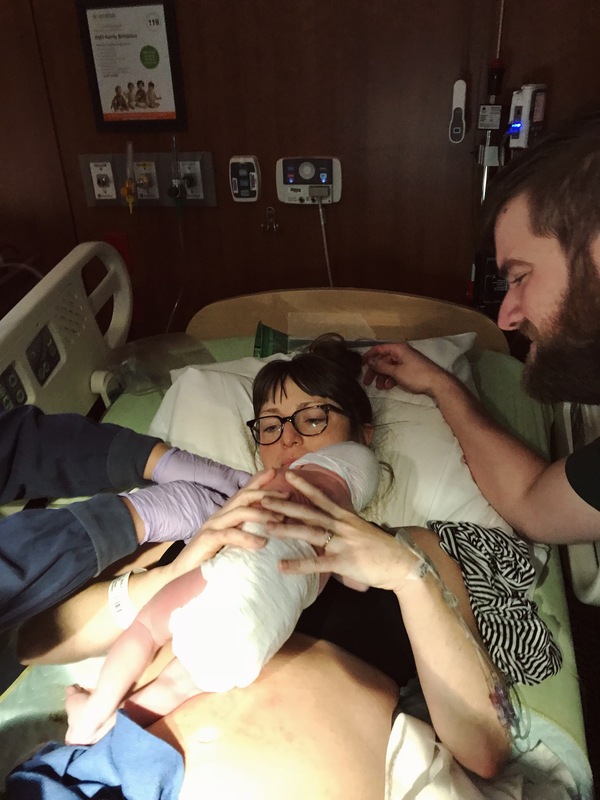 To recap, my labor and delivery didn’t go as planned. It took a little over 48 hours and included a hospital transfer and drugs. It was far more difficult than I ever expected it to be. 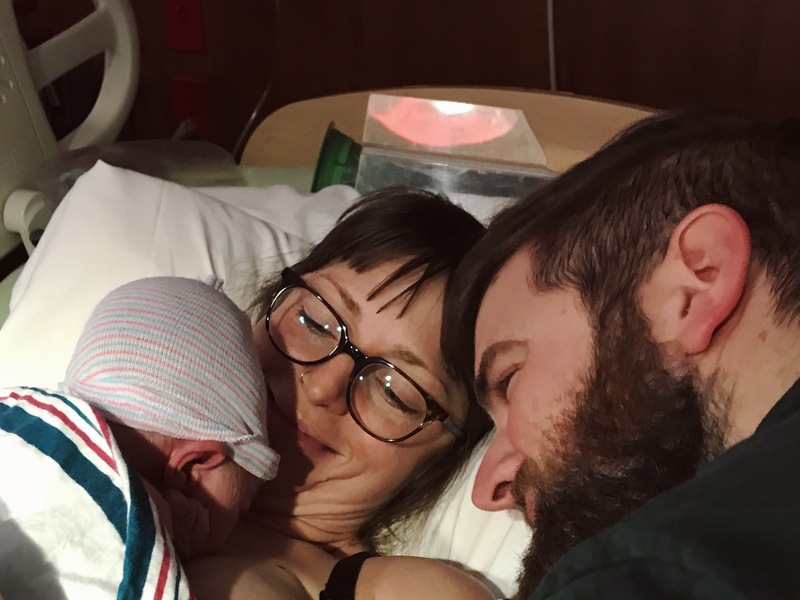 BUT, my birth story has a happy ending: My son, Anders was born and was healthy! I was able to birth him vaginally. My husband never left my side. And, to top it off, I had a wonderful hospital experience. I was shown so much care and compassion by the labor and delivery nurses. Melody talked me through each stage and always presented me with options rather than demands. 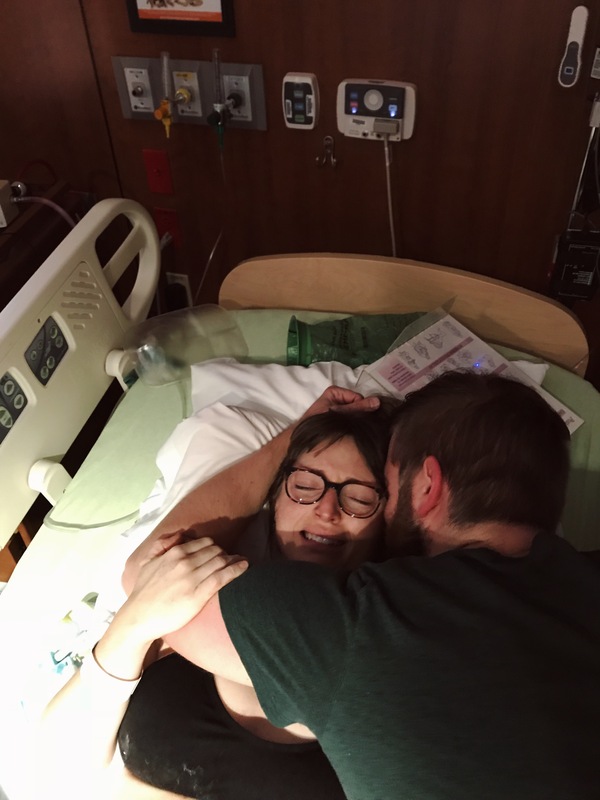 I ended up having nearly the entire labor and delivery staff cheering me on as I pushed (apparently I was the only one laboring that evening). And Misty and Cassandra never left. They stayed by my side, helped me make decisions, advocated for me, and also cheered me on. I felt truly blessed to have so many people helping, encouraging, and supporting me through what turned out to be one of the hardest moments in my life. For any Mamas out there who are as fearful about a hospital birth as I was, let my story encourage you. And for those who are able to deliver naturally at Brookhaven, count your blessings :). Previous Post: « Upcoming Herbs Class!